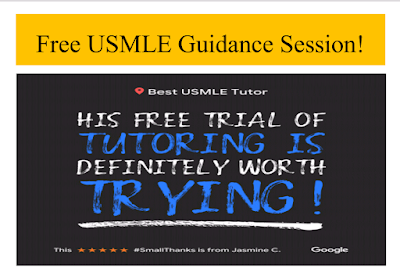 BEST USMLE TUTOR Online USMLE Tutoring services are available Globally via Skype/Zoom and provides Medical School students and Doctors just like you who are preparing for USMLE Step 1, USMLE Step 2 CK/ 2 CS and USMLE Step 3 for the first or the last time with the MOST effective, efficient and highest yield Private 1-1 USMLE Tutoring available in a time sensitive manner keeping the student's USMLE needs, goals, targets and budget in mind. 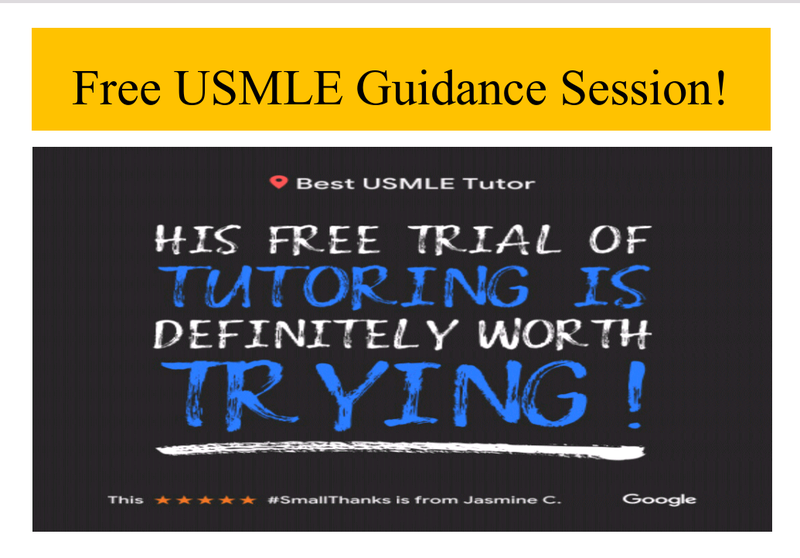 If you are looking for the Best up to date USMLE tips, strategies, general information or specific guidance, high yield resources or Best Personalized Online One-on-One USMLE Step 1, USMLE Step 2 CK, USMLE Step 2 CS and USMLE Step 3 Private USMLE Tutoring, you have reached the very best in one-on-one individual adaptive private live online usmle tutoring! 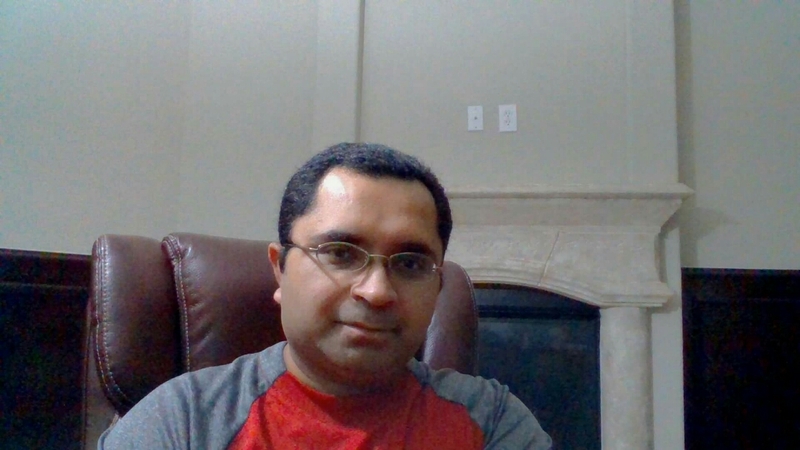 We invite you to Schedule your Absolutely Free Live Online One-on-One USMLE Tutoring Demo to get Free USMLE guidance, tips, strategy planning, information, study plan, and experience the very Best in Online One-on-One USMLE Tutoring Sessions by Dr. Harish Malik! 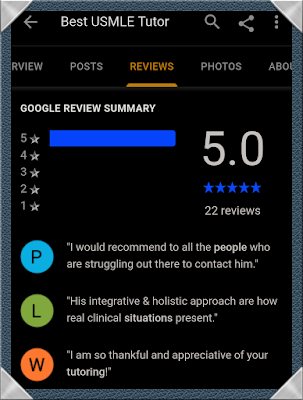 Feel free to contact us online through the website, or simply pick up your phone and call us at 8034935573 and leave us a detailed message for us to get back to you or simply text us at 8034935573 to get started with your Free Online USMLE Tutoring Demo. 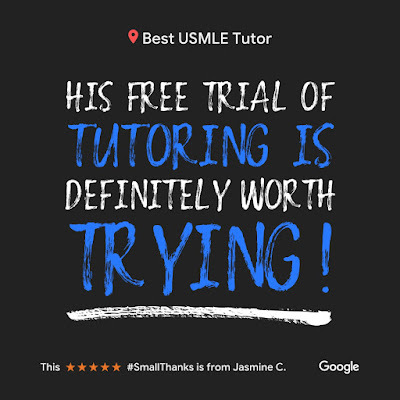 Thank you for Choosing BEST USMLE TUTOR for your USMLE Steps Preparation and Welcome to the very BEST in ONLINE ONE-ON-ONE USMLE STEP 1 USMLE STEP 2 CK, USMLE STEP 2 CS AND USMLE STEP 3 TUTORING. We help build/ rebuild individual student confidence, stamina, focus, restore their love of medicine, sky rocket their medical knowledge, mcq and ccs skills by providing them with a much deeper understanding of the human machine. We do all this by immersing the student deep inside the human body and make them stand midst the core of life to fully grasp the nature of health, disease, pathophysiology, pharmacology, ethics, biostatistics and practice of medicine through teaching them common sense application of universally applicable physical concepts such as Energy, static energy, linear and circular flow of energy, particles, time, space, gravity, physical and chemical properties. We also provide a host of weblinks to help medical students and doctors improve their medical language vocabulary pertaining to medical word parts, pharmacolgy, numbers used in medicine, medical images and medical sounds. We help, encourage and support our USMLE students in answering 3000 - 5000 MCQs from the Best question banks and their MCQ/ Clinical Vignette Answering skills drastically improve because we walk them through their mistakes and encourage them to learn from their mistakes. 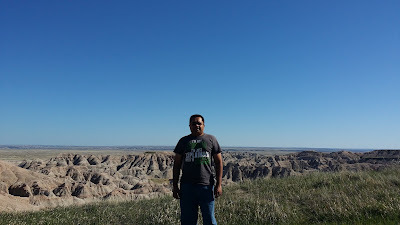 We teach them the best strategies that help them save time under stressful testing conditions, help them narrow down the answers, help them build stamina by simulating several full length Practice Self Assessment Exams before actually attempting any USMLE Step. Time needed to prepare for each USMLE Step has varied from 2-3 weeks to 2-3 months depending upon multuple factors such as: whether you are a full time student or working part time or full time, your budget, your current knowledge and skill level, length of time out of medicine, prior USMLE Scores any failed attempts and above all your motivation level! Read our USMLE Success Stories below and hopefully you will find the motivation to call us at 8034935573 today! "We Believe that You deserve the Very Best Guidance, Tips, Strategies and Personalized One-on-One USMLE Tutoring from BEST USMLE TUTOR that is Going to Amaze you and put you back in charge of your medical carrier and life!" 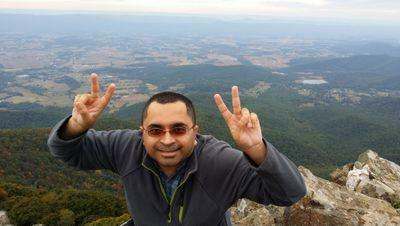 "Why try the Rest, when you can Have the BEST USMLE TUTOR." Contact us today and experience the Best in Personal Live Online USMLE Steps 1,2,3 TUTORING for Free by Scheduling your Absolutely Free Online USMLE Tutoring Demo and Get Free Guidance, Tips, Study Plan and Get started in the Right direction using the best high yield resources and end your USMLE Preparation confusion. 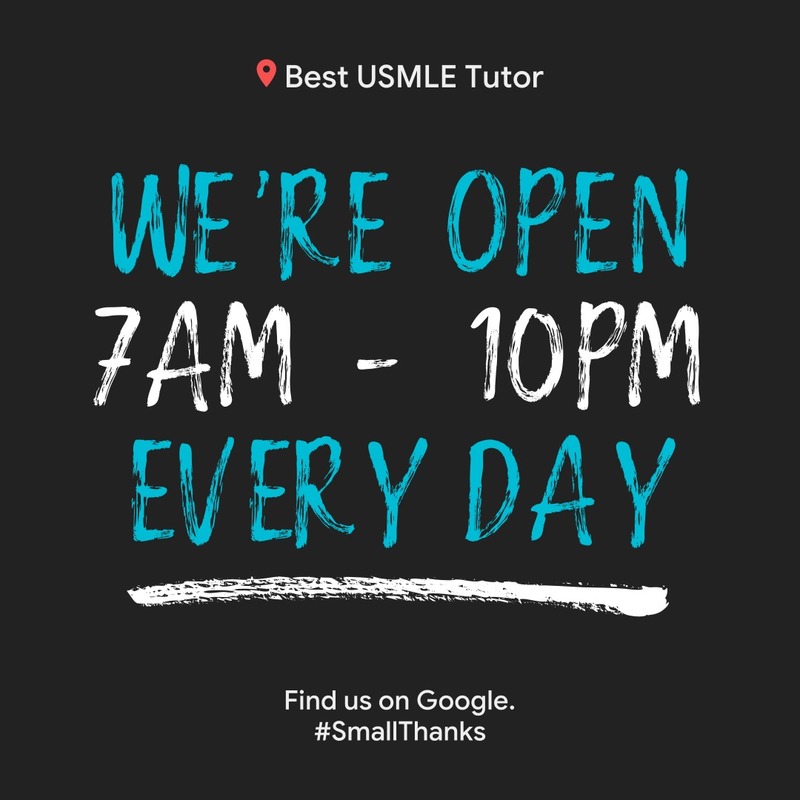 If you have any questions about how, what, why, when, and where about Best USMLE Tutor or to check our pricing and availability, please give us a call at 8034935573! 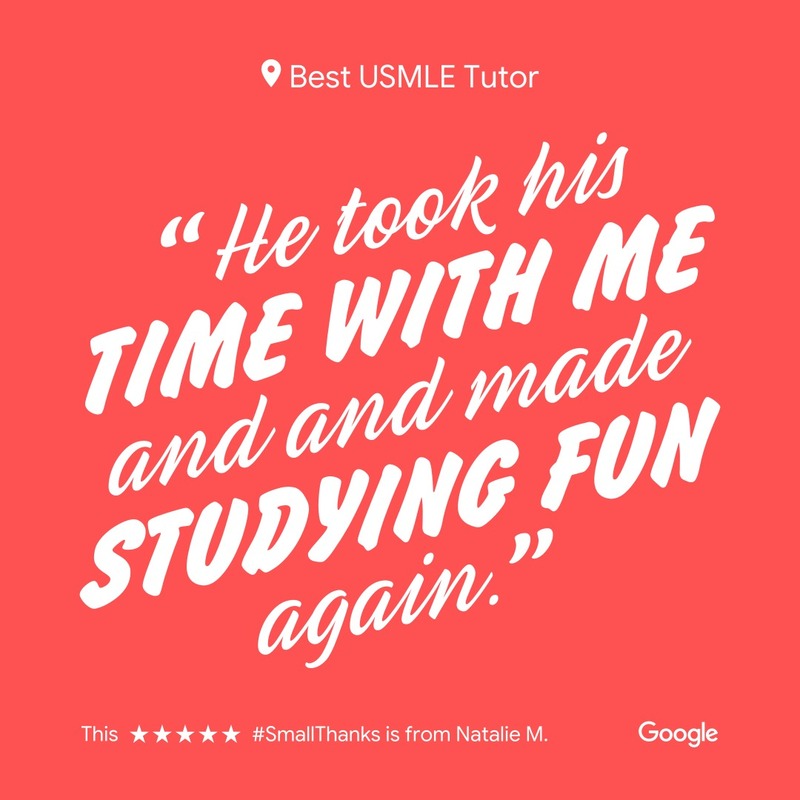 Thank you and Welcome to the Best Adaptive One-on-One Online USMLE Tutoring. 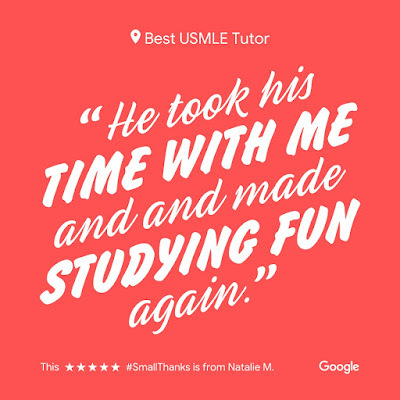 Thank you for Choosing our USMLE Tutoring Services! 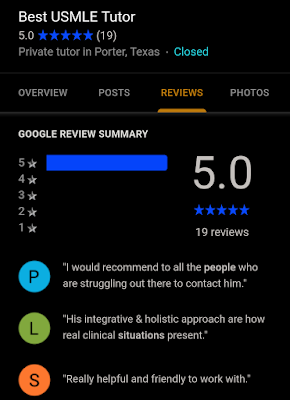 Thank you to all Best USMLE Tutor Students who did well on their USMLE Step 1, USMLE Step 2 CK, NBME Subject Shelf Exams and USMLE Step 3, Medical Students, Doctors and those who tried out our Free 2 Hour Online USMLE Tutoring Session for making us a 5.0 Star Rated Business on Google Search. Here is a Video from Google.com to give #SmallThanks to all of you... If you know someone preparing for USMLE Step 1, Step 2 CK, Step 2 CS or Step 3, have them call us at 803-493-5573 and Schedule their own Amazing Free 2 hour Online USMLE Tutoring Demo Session. If you are taking any of the USMLE Steps for the first time and don't feel ready, find out how BEST Online One-on-One USMLE Tutoring by Best USMLE Tutor can provide you with the Optimum Highest Yield Medical knowledge, Build Confidence and Motivate you, Teach you Analytical Medical Reasoning Clinical vignettes Interpretation and Answering Skills to lower your Test taking Anxiety for the Most important Exam of your life! If you are struggling to improve your Self Assessment NBME Score, find out why your NBME Score is not improving despite all the hard work? If you have failed any of the USMLE Steps Step 1, Step 2 CK, Step 2 CS or Step 3, find out what your preparation was missing and what you can do differently this time around to score high this time and all the remaining USMLE Steps. 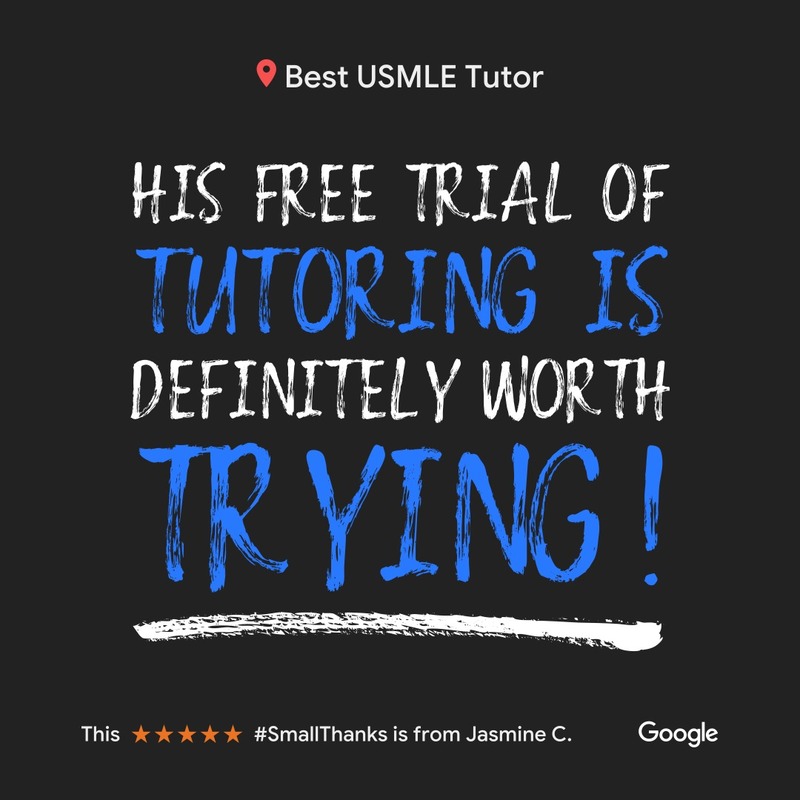 "Why Try The Rest, When You Deserve The Very Best"
Welcome to BEST USMLE TUTOR!